Some trees take decades to mature, whilst others are able to grow at an impressively quick rate. 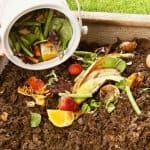 Check out our list of the 9 fasted growing UK trees here. 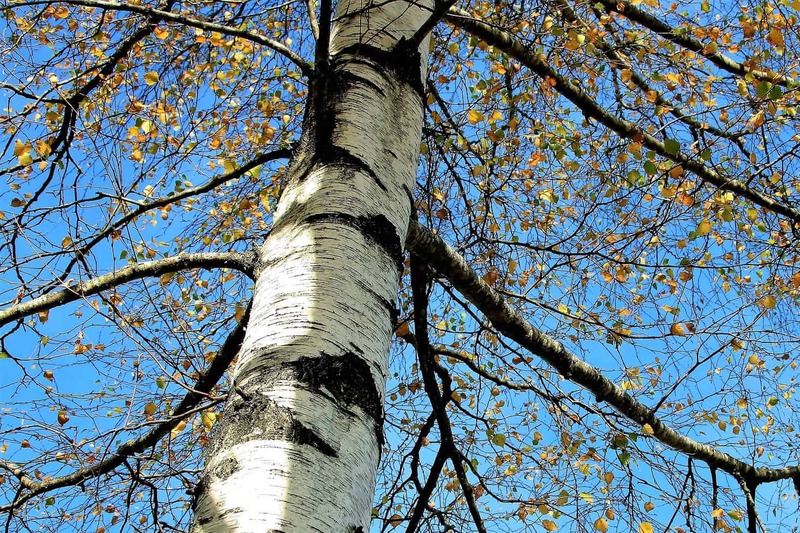 Weeping Willow, Lombardy Popular and Silver Birch have been named among the list of fast-growing trees in the UK. Some trees take decades to mature, as the traditional Oak tree. Others, like those in the list, can reach their full height in years. 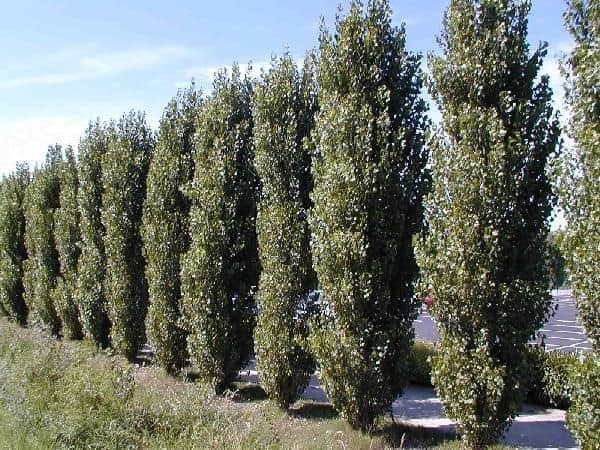 Therefore we here at Garden Buildings Direct have looked into those trees that grow well and are likely to create shade, privacy and interest in the garden. 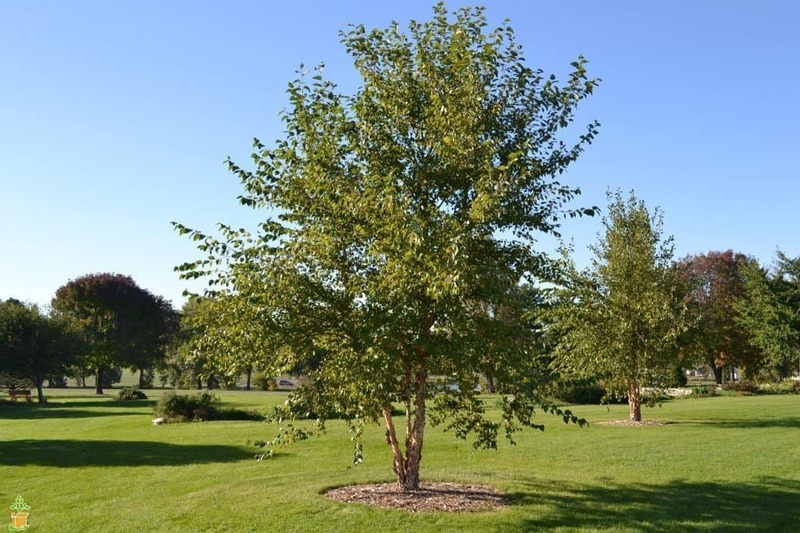 The Lombardy Poplar is one of the fastest growing, climbing a staggering 3.6 metres a year. Eventually reaching its full height of 20 metres in just over five years. Other common UK trees, like the Weeping Willow, grows up to 2.4 metres a year reaching its mature height of 15 metres in around six years. 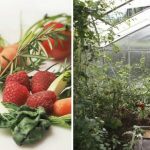 We’ve researched those that grow quickly and will bring additional interest to your garden in years, rather than decades. Trees have lots of important roles to play in the garden. The added interest, create shade and are great habitats for wildlife. 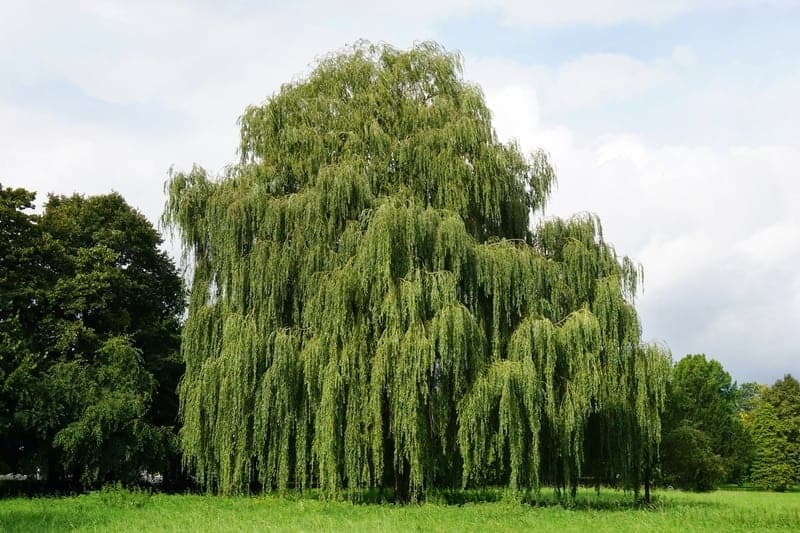 The weeping willow is often found on the banks or lakes and rivers. The low branches from beautiful canopy’s, creating lots of shade. 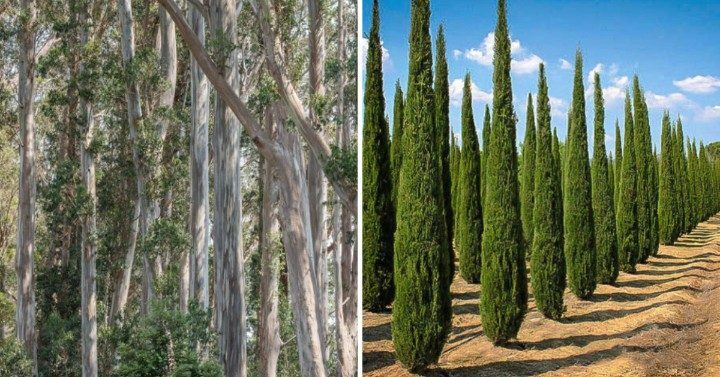 The tree grows between 1.2 metres and 2.4 metres per year and will reach around 15 metres high. This tree is kind of giving me Tinkerbell vibes. Am I the only one, though? It looks mysterious yet so magical. You’ll often find this towering tree planted in tight rows to form a screen. It grows around 3.6 metres a year and reaches around 20 metres tall. 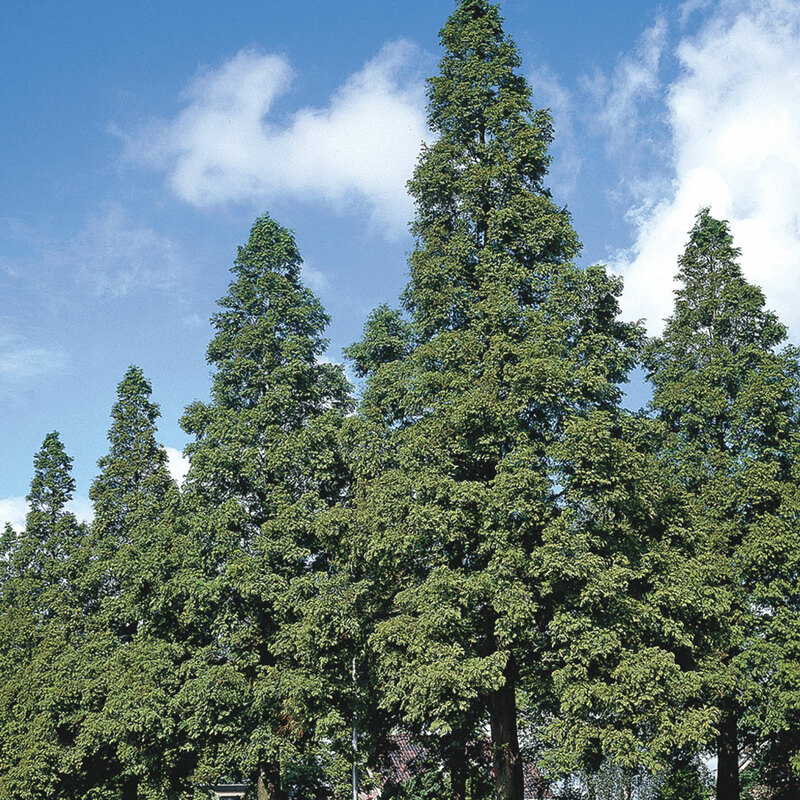 This tree, which originates from China, can grow up to 30 metres tall and seven metres wide. It grows well in most soil and weather conditions and can often be found in parks and large open spaces. Oh, just look at its photo! 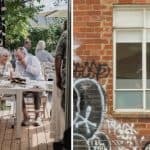 No wonder why it is part of our list. This evergreen gives your garden a year-round burst of colour and grows up to 2.4 metres a year. Left untrimmed, the tree can grow to 20 metres. 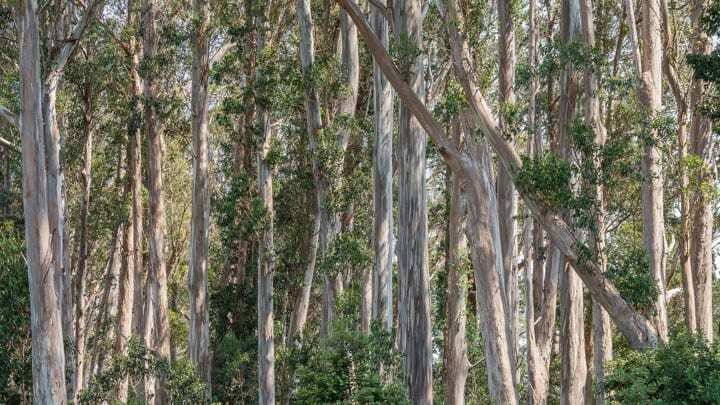 Just imagine a jungle full of Eucalyptus trees. Hmm, what a concept, right? Native to the UK, this hardy tree is easy to spot by its white peeling bark, triangular leaves and catkins. It reaches a height of 30 metres and grows around 40 cm per year. This is a durable tree which can grow anywhere. 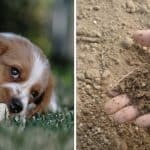 It does need lots of water – up to 90 litres a week as a sapling – but will reward you by growing up to a metre a year, reaching 27 metres. 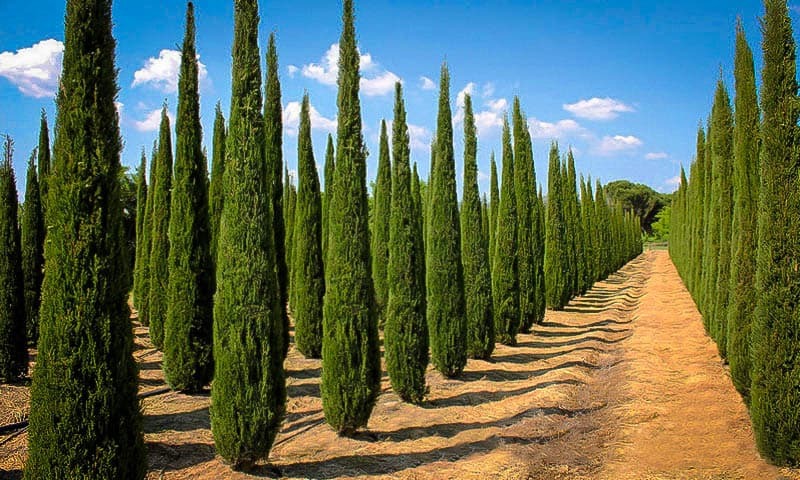 The Italian Cypress is great as a privacy screen and pro[erty divider. It looks like a column and will grow around 60cm a year, reaching 12 metres. 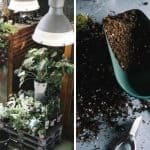 Photo: Urban Forest Nursery Inc. 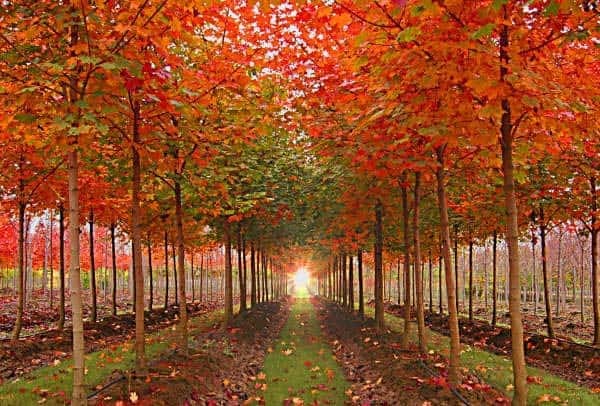 There are lots of maples to choose from and they all grow quickly, apart from the Japanese maples or Acers. These grow to 24 metres tall, around 60 cm a year. 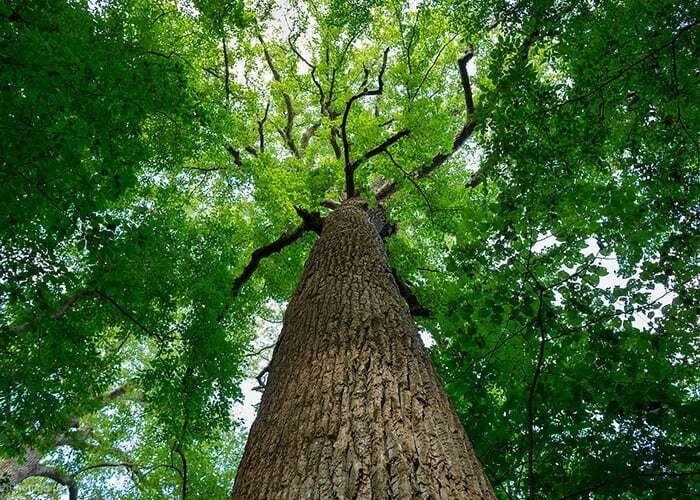 The tulip poplar is a leafy tree which can grow as tall as 30 metres, gaining over 90cm a year. The wide leaves offer lots of shade during the summer.